Social Media’s Shine Is Getting A Little Rusty. Between influencer campaigns from foreign nations aimed at disrupting elections around the world, to ongoing “fake news”, to fake accounts that run up follower numbers erroneously, to bots that aren’t really delivering much positivity, there is a lot not to like at the moment. Increasingly, the public is mistrusting of technology companies and social media. Yet the idea that our government would begin legislating regulations on tech companies is even less appealing than dealing with the current problems our reliance on social media is revealing. Questioning the credibility of sources will continue to be a theme for the public and marketers will have to work hard to maintain reputation and relevancy. The Content Fire Hose Isn’t Going Away. In a recent Cision/PR Week survey, one of the top challenges for agencies is addressing the endless need for new content. 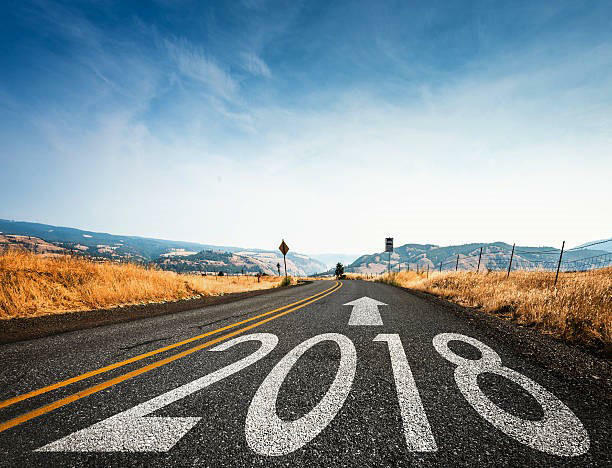 Figuring out how to produce a deliverable that clients increasingly expect to cost less, while maintaining quality, is a problem most agencies will continue to grapple with in 2018. I believe agencies and their clients will need to further refine the right cadence of posting in order to realistically manage production and relevancy. Revisiting posts that can be updated or simply are evergreen is a smart way to repurpose good content. Producing mediocre content just to fill a broadcast calendar is not a long-term solution. The Media Landscape Continues To Be Rocky. It’s been interesting to watch the rise of Axios, a new media outlet, in a time when many think the industry is dying. Axios has been smart about how it connects with its audience, focusing on an easy-to-digest app and daily emails that make people feel in the know. At the same time, 2017 brought a rally cry of “fake news” that has put the media on the defensive and put into question one of the bedrocks of our democratic system - something most of us would never have imagined even five years ago. Transparent media practices have also been called into question this year, most notably by Marc Pritchard of global consumer goods giant Proctor and Gamble. Pritchard criticized a ‘crappy media supply chain’ and demanded more transparency from media partners – especially digital ones.As purchasers of media, marketers will continue to be challenged by the right places to be seen and will demand more transparent practices. And PR pros will walk the tightrope between traditional news placements and micro-influencers who might be more credible to certain audiences. The downfall of some of the country’s biggest media personalities has been earth shaking. Media is now part of the story. That won’t change in 2018 as the #MeToo movement continues to tear at the structures of power that have enabled and protected sexual harassers. At the same time, brands that have contributed (knowingly or not) to these behaviors are being called to the reckoning table also. What did Disney know about Weinstein? What did NBC know about Matt Lauer? It can take years, sometimes decades, to build a public reputation and this year we’ve seen that it only takes a day to destroy that. We already have clients expressing caution about aligning with celebrities (particularly male celebrities) for fear that something negative could be revealed at any time. This trend might make for some interesting spokespeople choices in the future. Creativity Is Still The Dividing Line Between Us And The Robots. As more jobs become automated and the work no one wants to do gets outsourced to bots, there is one thing businesses continue to need that, for now, only humans can deliver. That thing is creative problem solving. Maybe one day, AI will develop to the point that creativity can be outsourced as well, but for now we’ve still got that going for us. It is the thing that marketers need more than ever. The love affair with digital marketing and lots of data is starting to show its limitations. Without creativity, emotional resonance, humor and sensitivity the best ad buy in the world will go nowhere fast.